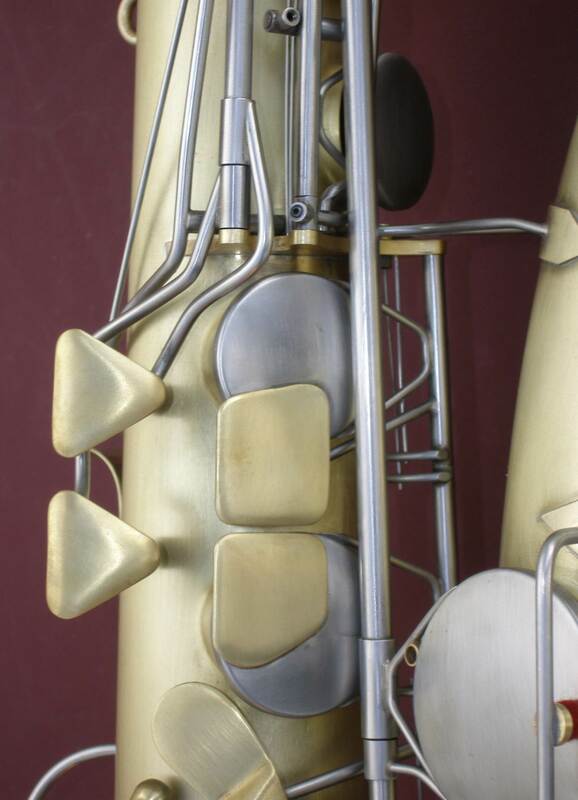 The obvious connection between Saxophones and Norton motorcycle special builds……. Something about the styling of this brings to mind Jim Schmidt’s saxophones. The shapes, I suppose. 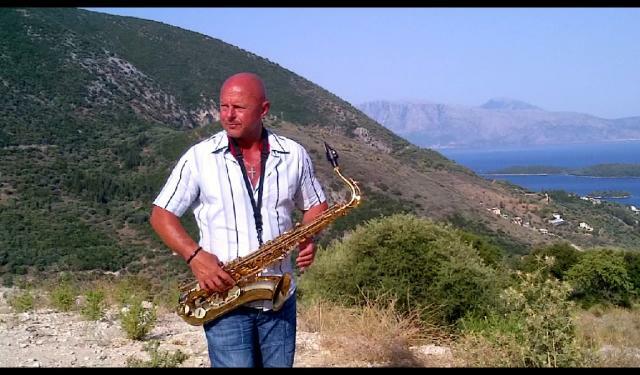 To Promote his album Lee Kix Thompson is coming into Bath and as the man the most responsible for most middle aged players of the sax today must be worth a look. With their first album already in the can and due for imminent release, their madcap front man and bags of upbeat new takes on vintage classics, this is a band that are bringing Ska back to the forefront of popular music. Ronnie Wood Plays The Tenor Sax. 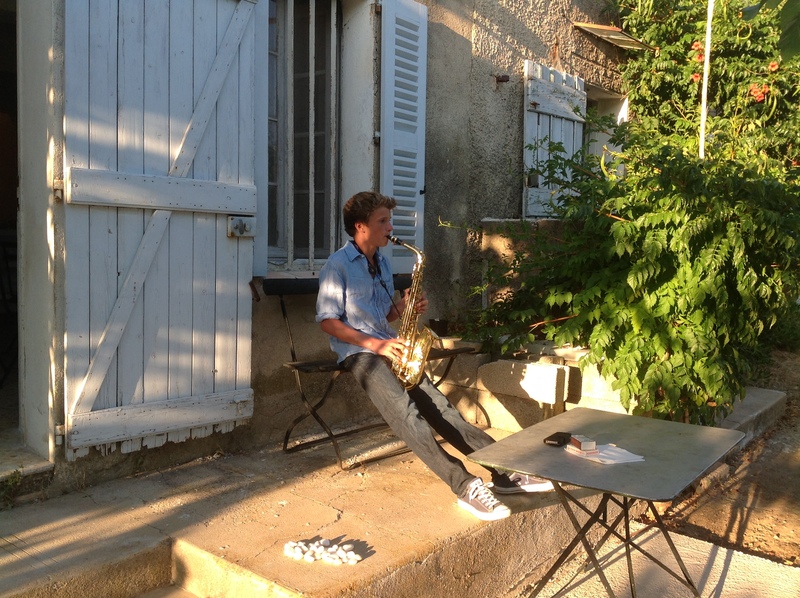 ‘It was a two-week deal with the sax.I picked it up,learnt the scales and started to get the feel of it.I didn’t know what the hell I was doing except the sounds were coming out.So I rang up Bobby Keys (main sax Stones tenor saxman and wildman) and said ‘Listen to this.’I didn’t know it at the time but when I was done,Jo and him got together and bought me Pals Johnson’s tenor sax,the one the great Plas used to play the Pink Panther theme. 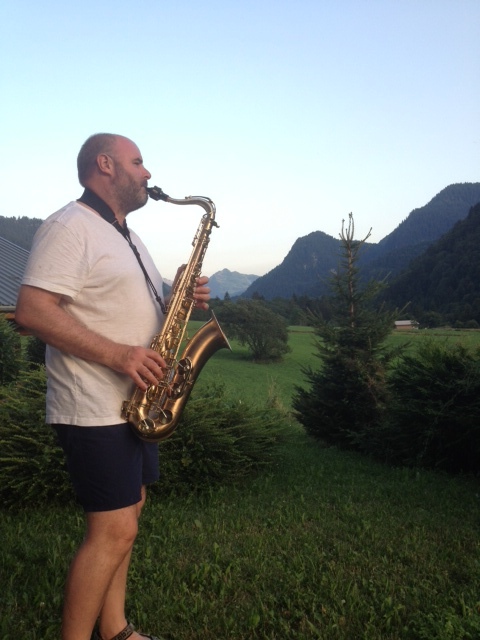 I bought a sax into the studio once when the Stones were recording the Undercover album and everyone just looked at me weirdly.I said,’Let me give it a go.The song was ‘I Think I’m Going Mad,’so I played in the brass section with Bobby Keys,Jim Horn and Steve Madeo the Stones brass section. 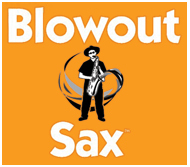 So Ronnie when you want to pick up the sax again call Blowout my man we are the very best in the world.Alas no photo of Ronnie playing so Ronnies of Charlie Watts a big jazzman will have to suffice. 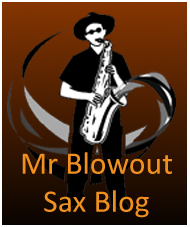 The other piece of saxo info from Ronnie’s biog was the origin of Elton Johns as Reg Dwights stage name was from a saxman Elton Dean and blues man Long John Baldry. 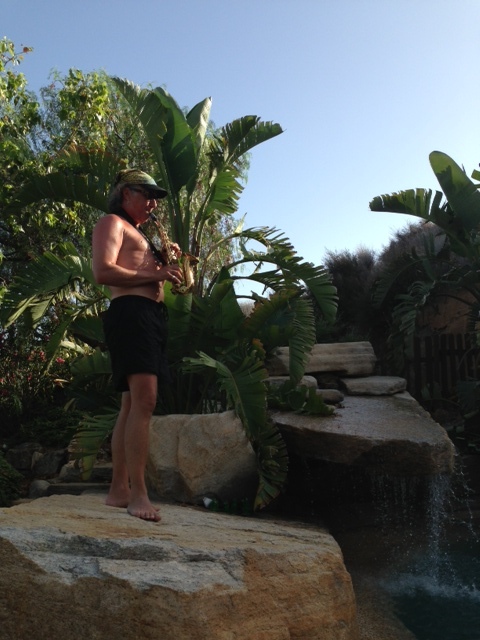 Mr Blowout Sax Mark Archer playing his curved soprano by the swimming pool at Mojacar, Spain 2013. 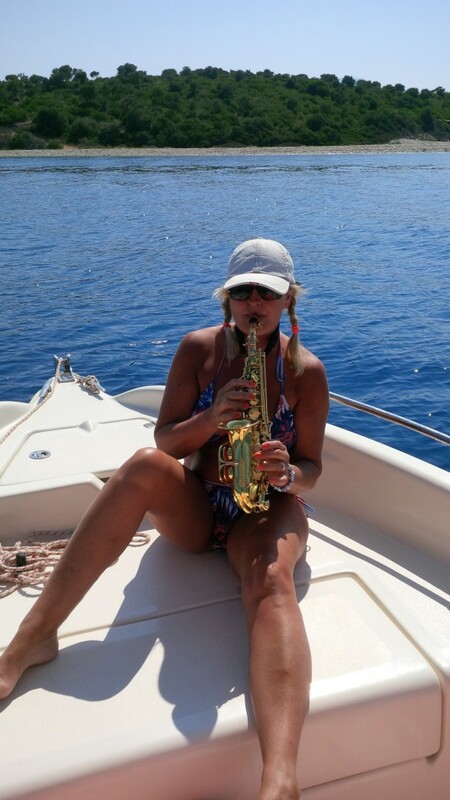 New Blowout Sax teacher Debbie Davey playing curved soprano on a boat into Ambelike Bay, Meganissi Island Greece 2013. Sean Macey here in the hills above Nidri, Lefkada with the Greek mainland in the distance.